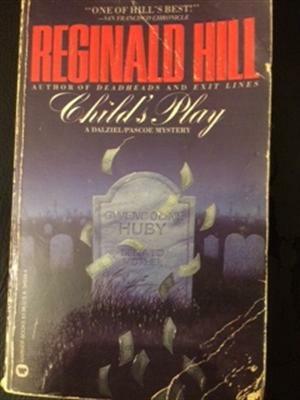 by Reginald Hill | Mystery & Thrillers | This book has not been rated. Registered by solittletime, Portland, Maine, USA on August 25 , 2017. Pre-numbered label used for registration. Mass market paperback. Reserved for the 2017 Never Judge a Book By Its Cover Release Challenge, hosted by Secretariat, which week 33 features a title in script. Released in the basket by the fireplace at Panera Bread, 11 Main St, Westbrook, Maine USA, around 9 PM on August 26, 2017.